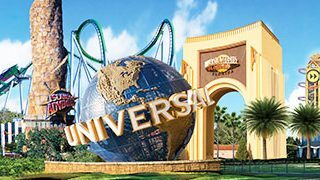 Orlando is a major leisure and business travel destination. Finding the best places to run in the Orlando and Disney/Universal area takes some planning. It’s possible to get stuck at a hotel near Disney or the Convention Center where it’s unpleasant or even unsafe (no sidewalks) for running. 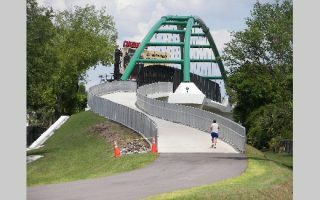 But there has been greater attention to making Orlando more run-able and walk-able. There are some nice parks, lakes, and trails just north of downtown Orlando. 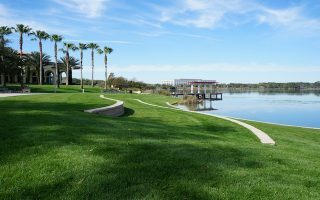 Winter Park, a suburb 7 miles northeast of Orlando has great running options: numerous trails, parks, pleasant residential streets, and a pretty downtown/commercial area. In the resort area, Disney has been working to create running routes at its properties. 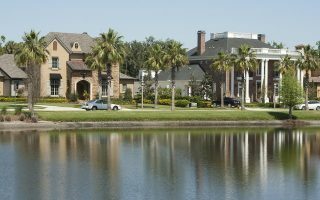 The best bet in that area is Celebration, a planned community a 15-minute drive from Disney. If you want a great beach running option and have the time, drive the 70 miles to the Cape Canaveral/Cocoa Beach area, where there’s 10+ miles of packed, flat beach running heaven. For a unique and rural run, drive 1/2 hour west of Orlando and enjoy the famed 10-mile Clermont Clay Loop. There’s nice trail running and water activities in Lale Louisa State Park. In thinking about Orlando geography, better to think about “areas”: Downtown; Disney/Universal/Convention Center/Celebration; some of the wonderful running north in Winter Park and surrounding areas; and some nice spots west of Orlando. Orlando is very flat. It takes some real doing to find some hills. A tour of downtown Orlando — a mix of urban running and some lovely lakes. 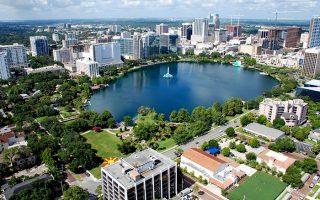 The signature segment of this run is a tour of lake Eola, which is 0.8 miles around. Another good option near downtown. 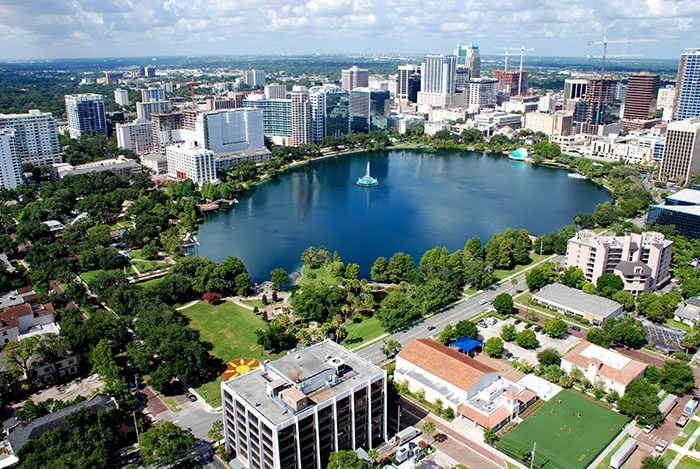 The run incorporates 6 lakes, the Orlando Science Center, Orlando Museum of Art, and the Botanical Garden. The closest off-road running to downtown. Starting at Fashion Square Mall, the trail runs nearly 6 miles toward Winter Park. A nice connection/add-on is Baldwin Lake. A comprehensive guide to the best areas for running in the Disney area. Both inside the park and outside. There are some good options but it takes some planning. Don’t despair if you get stuck at one of the Convention Center hotels. There is nice, paved path along International Drive. We’ve created a 4.7 mile north-south route. Note: a couple of sections lack sidewalks. 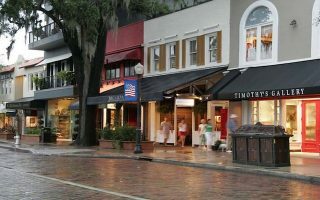 Winter Park is a pleasant suburb 7 miles north of Orlando. Our “highlights of Winter Park” run includes the cute, shaded Park Ave., a jaunt out to Lake Maitland and the Kraft Azalea Garden, and some lovely residential streets. 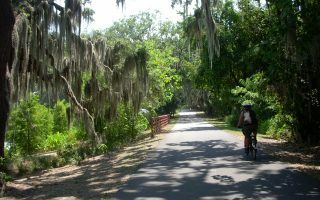 Popular for biking and running, the West Orange Trail is a world-class rail trail through urban and suburban sections of Orange County, 15 miles northwest of Orlando. A worthwhile destination 15 miles northeast of downtown. The park has a nice running track and there's 2.5 mile tour around the lake. 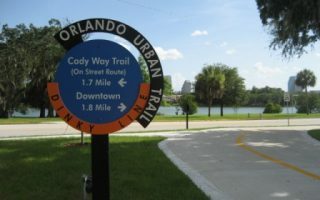 Also connects to the Cady Way Trail, which continues another ~5 miles north toward Winter Park. 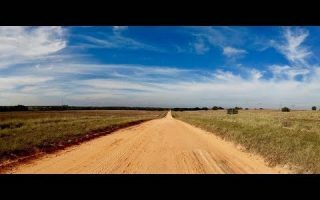 Runners travel from afar to experience this 10-mile loop on a dirt road, 25 miles west of Orlando. Quiet, rural road passing farmland. Rolling hills! Popular road race in fall. Lovely state park 1/2 hour drive from Orlando. 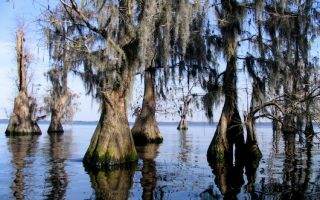 More than 20 miles of wide, runnable trails with views to lakes and marshes. Even some elevation! The park is popular for swimming and water activities. Well-marked loop options. 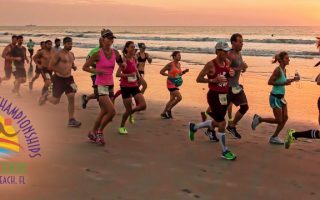 About 70 miles east of Orlando, Cocoa Beach is one of the greats for beach running in North America. You can run for nearly 10 miles along this wide beach, and at mid to low tide, the surface is firm and fantastic for running. The weather in Orlando can be both appealing and unappealing for runners. November through April is generally delightful for running — mild to warm, with the occasional hot snap or cool snap, and drier than summer. 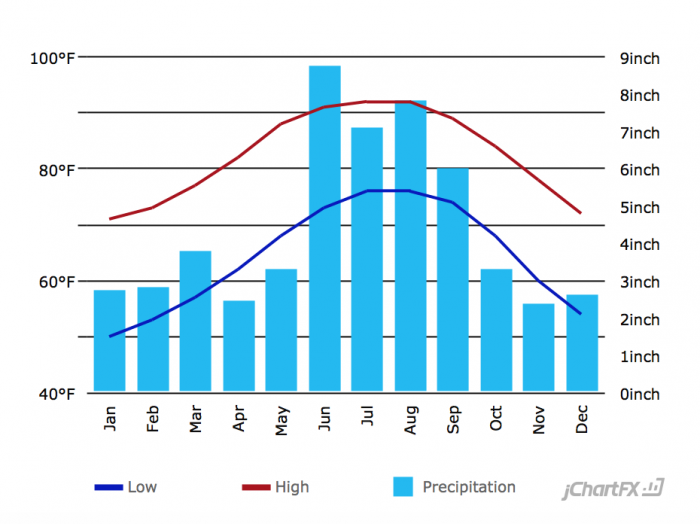 May through September is very hot and humid, with little relief, and there can be periods of heavy rain. Plan hydration carefully. And be wary of thunderstorms — an almost daily occurrence in the warmer months. Downtown: stay near Lake Eola, or near Gaston Edwards Park (Hilton Doubletree), for access to downtown & Orlando Urban Trail run. There are NOT that many hotels near Cady Trail or Baldwin Lake. Disney. See the info on the Disney resorts with jogging trails. Best option is Disney Wilderness Lodge or hotels near there for access to extensive trails there. Another option is to stay near Celebration, toward the southern end of the Disney Resort. Convention Center/Universal. Lots of hotels on International Drive, with good access to running on International Drive. Fit2Run. Florida Mall. Group runs Tuesdays 6:45 & lots of other events. Track Shack. Close to downtown/Gaston Edwards Park. Group Runs Monday 6pm. Fit2Run in Disney Springs is the only dedicated running store in the resort/conv. ctr. area. Group Runs: Tuesdays, Thursdays 7pm in Celebration. Meet at Imperial Food and Wine. There are several athletic/shoe factory outlet stores in the mall just to the west of Universal Studios. Orlando Suburbs. See map for some of the other run stores north of Orlando. Orlando Runner’s Club has group runs at 7:00am on a Sunday morning. Disney Marathon. First week in January. The signature annual running event. 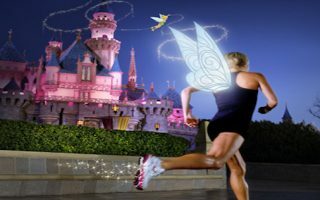 Disney Princess Half Marathon. February. Girls/Women only, various other lengths. Star Wars Half Marathon The Dark Side. Half Marathon starts 5am in the dark. Disney Wine & Dine Half Marathon. November. Celebration Marathon and Half Marathon. January. Popular. Orlando Runner’s Club at 7:00am on a Sunday morning — do it!